Forensic racism suggests “blinding” case details as a cure. Here’s a new level of nastiness. 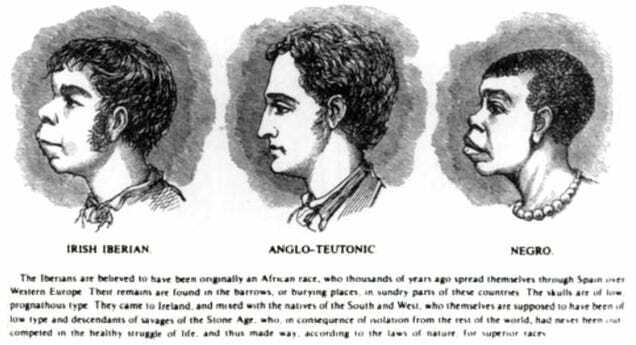 The above is an example of scientific racism reported from the forensic anthro post Ancestry, Race and Anthropology. A new example from Iowa. A thistle to former state forensic scientist Amy Pollpeter, who expressed blatantly racist sentiments on social media sites, and an accompanying rose to the Iowa Department of Public Safety for acting quickly, and publicly, in firing Pollpeter. To its credit, the department not only dismissed Pollpeter, but is now conducting a review of her work to make sure none of her criminal cases were compromised. There’s one other step the department should consider: the adoption of “blind” testing procedures in which details of a case are withheld from forensic scientists to prevent the possibility, or even the perception, that personal biases influence their work on DNA samples, fingerprints and other evidence. The National Commission on Forensic Science, which is part of the U.S. Department of Justice, has endorsed the practice. This entry was posted in AAFS, Crime lab scandal, criminal justice, CSI and tagged American Academy of Forensic Science, Bad forensic science, criminal justice, forensic examiner error, Miscarriage of justice. Bookmark the permalink.